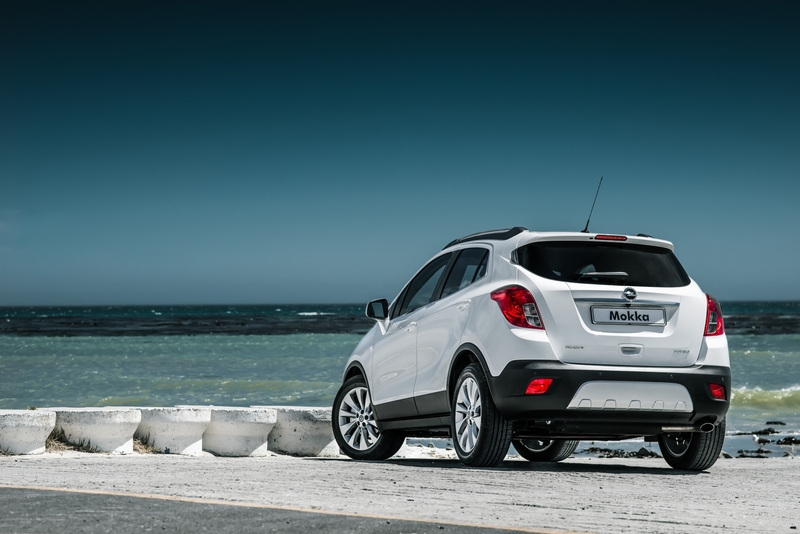 16 MARCH 2015 – The all-new Opel Mokka – Opel’s first-ever sub-compact SUV – makes its South African debut at the end of March. 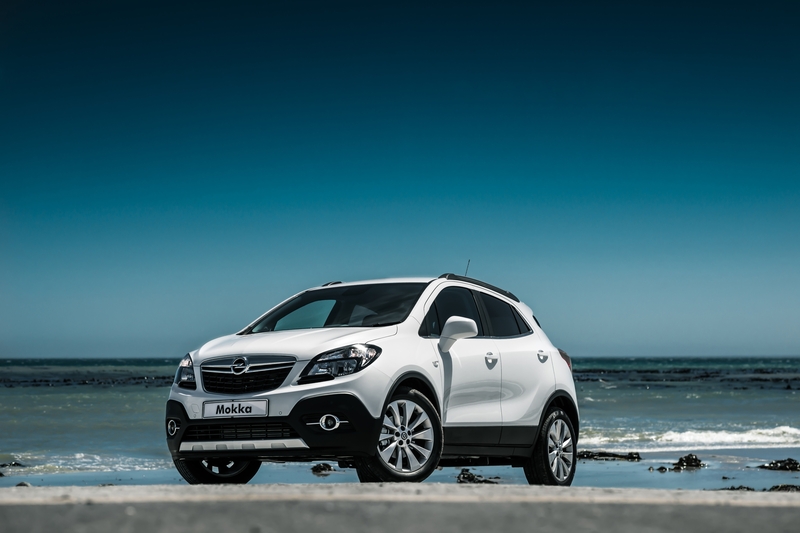 Mokka, which has received unprecedented international acclaim with orders in Europe in 2014 easily surpassing the 240 000 units mark, is the third of the ‘new Germans’ from Opel to be launched in South Africa in just three months. 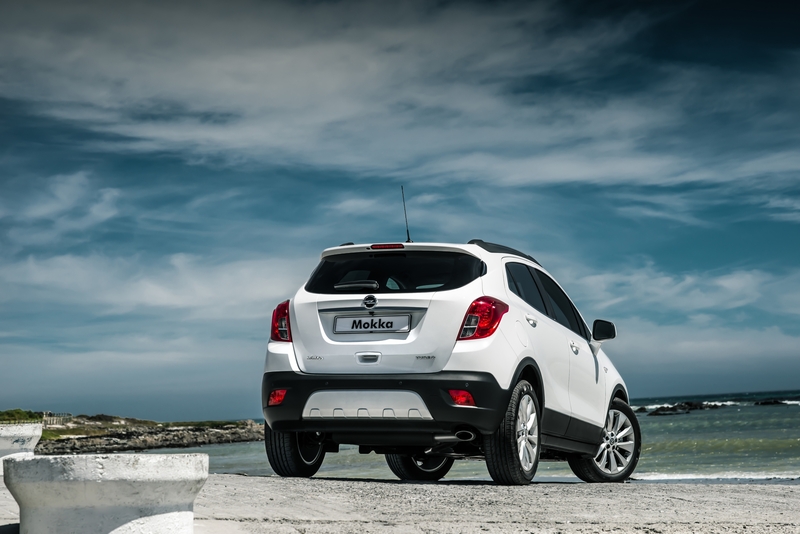 Opel designers have given Mokka a proud, strong and aggressive stance presented in a compact package. Unmistakably Opel, Mokka has been designed to extend the attraction to buyers who feel a monocab or normal hatchback is too bland for them. Mokka is designed to be a perfect match to the aspirational lifestyles of its target consumers, while offering a quality alternative to those consumers who live urban lifestyles and fully appreciate the high seating position, extra space, versatility and go-anywhere nature of a German-engineered SUV. With the new Opel Mokka, Opel designers have created a vehicle which packs all the rugged style of a full-sized SUV into a compact format. Seen from the front, the attraction is immediate. The distinctive grille and wrap-around integration of the headlight clusters, lower valence and deep, steeply-raked windscreen, are the first insights into intense aerodynamic development. Everything has a purpose, including the pleasing and well-rounded shape of the generously-sized exterior mirrors. Form meets function – in fact the attention to aerodynamic efficiency is responsible for the stylish lower air dam that underpins the whole front end. The aero-friendly radiator grille optimises airflow in the engine compartment. Under-body aerodynamic aids complement the rear spoiler in cleaning up airflow. The whole package combines to deliver a Cd factor of just 0.35 – much better than the segment average of 0.378 and a major contributor to both economy and stability. The balance of the design conveys just as much impact as the purposeful and broad stance. The dominant impression is of a rounded, sporting wedge. Lines are muscular and athletic, without being aggressive. First impressions are of self-confidence and modernity without any arrogance or gimmickry. In keeping with its role as an image enhancer and market pioneer, Mokka carries the Opel logo high and proudly, the horizontal chrome grille bar adding a high-quality, sculptured aspect which neatly divides the upper and lower proportions. This broad-shouldered and wide-tracked appeal immediately underlines the sense of rugged capability that characterises the entire vehicle. From the side, the sculpted proportions of the new Opel Mokka are firmly grounded on the contrasting sill and wheel arch mouldings, outlined by ultra-short overhangs and smart wheel arch contours. The large, purpose-designed alloy wheels round off a design philosophy that has created a car which enables its owner to make their own statements. 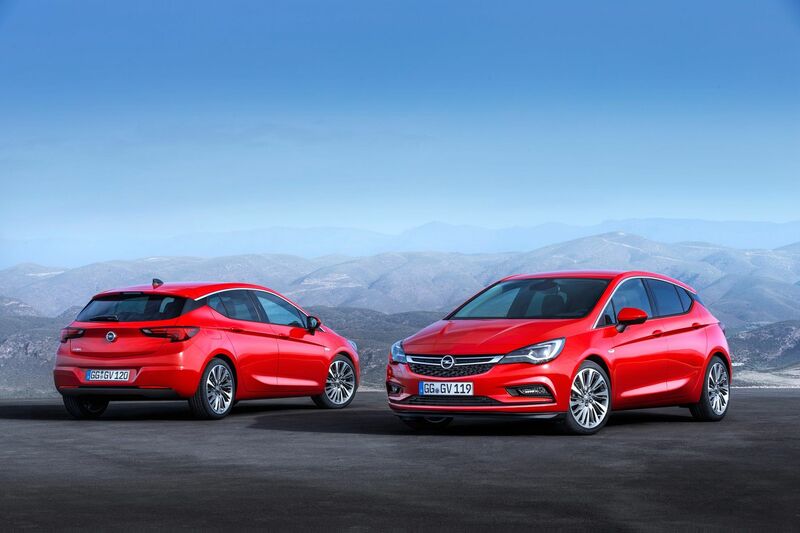 The signature Opel ‘wing’ motif adds a further element of excitement in a sculptured, contoured effect, starting low and gradually rising to draw attention to the width and height of the vehicle. Leading into an upswept waistline, relatively narrow glasshouse and tall haunches, the result is sporting flair and ruggedness – without the impression of styling for style’s sake. This ruggedness has also been translated into meticulous attention to detail, with elements like the door handles and roof rails being carefully refined to reflect a chunky look and feel with Mokka’s adventurous nature at heart. A pert rear end, visually strengthened by a tough bumper design, wrap-around tail light clusters and a slim rear window design, rounds off the macho stance with class and a strong sense of dependability. Inside the new Opel Mokka the emphasis has been firmly placed upon quality and comfort. 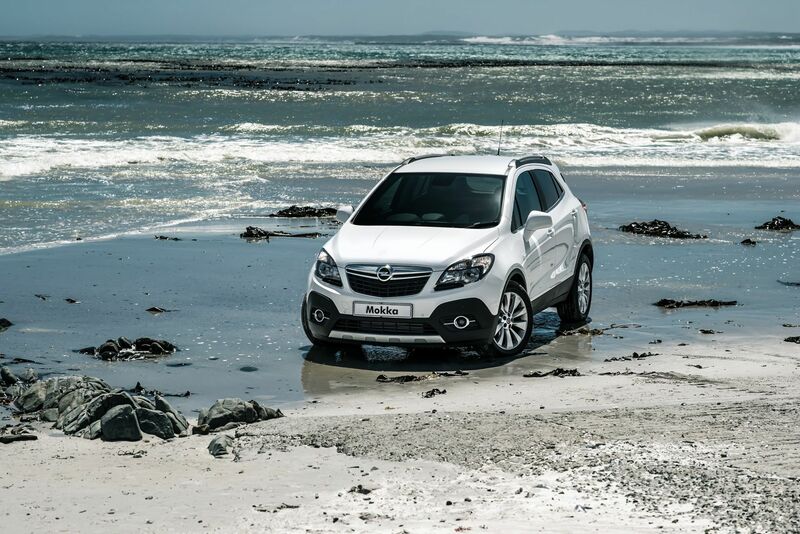 The cabin is airy and welcoming, giving the impression that Mokka is much larger than it actually is. The high-mounted, supportive seats, comfortably-placed controls and premium feel of the trim all add to this feeling of space. Tactile black trim materials with chrome detailing for the functional elements and instrument rings add a classic upmarket accent. The design is friendly and understatedly modern, with a swept-around ‘wing’ style dashboard maximising the feel and allocation of space while being visually superior. Instruments and screens are clear, well-proportioned, optimally-placed and easy to read. The large air vents, like every other detail, have a solid look and feel of durability that reinforces the up-market sensation. The impression is of an environment which is ready for adventure. The refined detail and high quality of the cabin extends throughout – the deeply-contoured seats, which can be easily folded to adjust storage solutions within Mokka, are an example of this. Wide-opening doors offer easy access for adults as well as children. They are especially suitable in facilitating the fitment of child seats. Load space and storage combine perfectly to maximise the convenience and practicality of the Opel Mokka. With the 60/40 flip-and-fold rear seats fully folded, a flat floor is made available and ready to swallow up to 1 371 litres of cargo, with a total length of 1 449 mm and up to 898 mm of height. With the seats up, a generous 356 litres of boot space is available. A 16-inch spare wheel lies below the cargo floor. Powering all Mokka derivatives is Opel’s proven 1.4-litre four-cylinder turbocharged ECOTEC petrol engine, which produces 103 kW between 4 900 and 6 000 rpm and 200 Nm between 1 850 and 4 900 rpm. Naturally contributing to a beautifully smooth drive and good economy, the Mokka’s engine also affords it the impressive ability to tow up to 1 200 kg (braked) or 500 kg (unbraked). Average fuel economy on the new Mokka 1.4T Enjoy manual is 6.0-litres per 100 km, the Mokka 1.4T Enjoy automatic realising 6.6-litres per 100 km on the combined cycle. The Mokka 1.4T Cosmo manual sips 6.3-litres per 100 km, with the Mokka 1.4T Cosmo automatic returning a combined cycle average figure of 7.0-litres per 100 km. Carbon emissions are rated at 139 g/km for the Mokka 1.4T Enjoy manual and 154 g/km for the Mokka 1.4T Enjoy automatic. 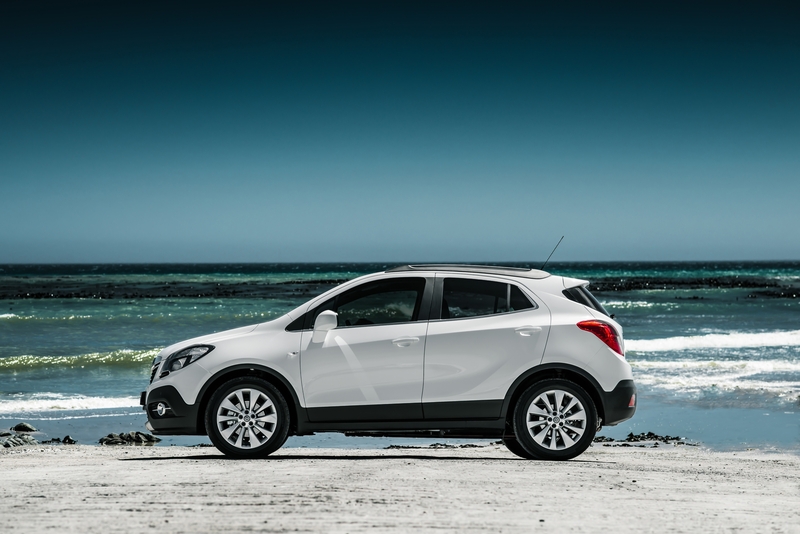 The Mokka 1.4T Cosmo manual is rated at 145 g/km with the Cosmo automatic at 160 g/km. Driving the front wheels in all models, transmissions include a slick six-speed manual or a smooth six-speed automatic – each of which is available at either Enjoy or Cosmo trim level. The all-new Hydra-Matic six-speed automatic transmission features an on-axis design which allows for more compact packaging, allowing enhanced crumple zone performance, increased interior space and a lower bonnet line than possible with a conventional off-axis design. On the road, a wide selection of shift patterns is adapted to the style and habits of the driver, anticipating when maximum acceleration or maximum efficiency is required. The electronic control will also adapt to the prevailing road conditions, reducing gear shifting when climbing or descending and using engine braking assistance during down-changes. Tap shifting allows for sequential gear selection via the shift lever. The driver also benefits from a ‘neutral’ gear disengagement at idle, which reduces vibration and contributes to improved fuel consumption. The chassis of the new Opel Mokka ensures maximum ride and handling performance even under difficult road conditions. 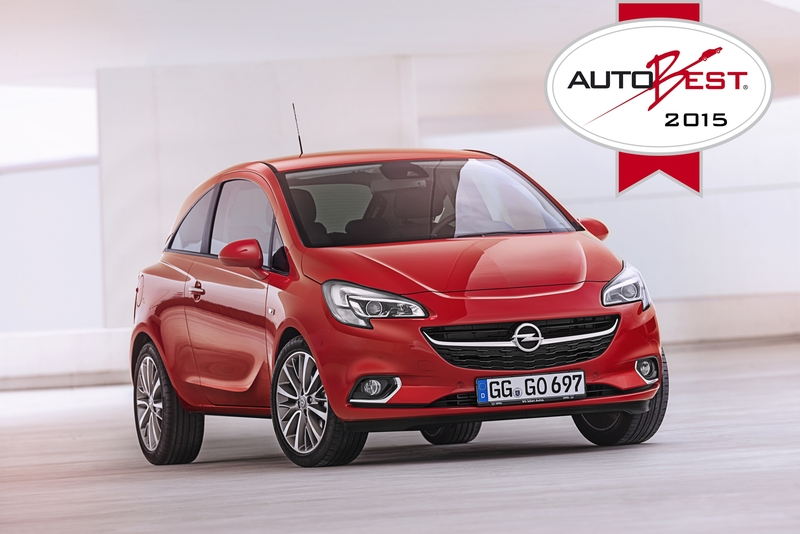 At the front, MacPherson struts which already have a successful track record in other Opel vehicles were further optimised by Opel engineers. They did this by adding side load compensation springs, dual path strut mounts and double-bonded handling bushings to improve the ride and handling experience as well to enhance noise and vibration performance of the car. At the rear, the Opel engineering team included a U-section tubular-shaped torsion beam ahead of the rear wheels. In keeping with Opel’s focus on safety, the Mokka is kitted out with an arsenal of safety features and equipment designed to protect occupants and pedestrians. Opel SAFETEC is a fully-comprehensive safety system which integrates and synchronises all aspects of active and passive safety for maximum security in any situation. Every Opel vehicle begins with a rigid safety frame, to which energy-absorbent bumper systems with crash boxes front and rear, progressively deformable structures and high-tensile steel side protection bars, are added. The design and structure of these elements also means that the new Opel Mokka meets all pedestrian safety standards. Importantly, the new Opel Mokka carries a five-star EuroNCAP safety rating. A major advantage of Opel technology is that in low-speed impacts, deformation damage is minimised to reduce repair costs. For example, the bumpers are self-repairing after impacts of under 4 km/h. Other passive safety systems include smart seat-belt reminders front and rear, dual pre-tensioned front seat belts, and front, side and curtain airbags (six in total). In addition the Pedal Release System protects against lower-leg and foot injuries in major impacts. ISOFIX child seat anchors are also fitted. All versions of the new Opel Mokka are equipped with latest-generation ESPPlus. Oversteer or understeer is corrected with even greater efficiency and sensitivity than with previous systems – ESPPlus is almost undetectable in operation. Hill Start Assist (HSA) is also fitted as standard. Naturally, ABS with EBD and BAS liked to all-round disc brakes are fitted as standard, along with a tyre pressure monitor, an anti-theft alarm and immobiliser, and remote central locking. A rear-view camera is available on Cosmo models only, linked to front and rear parking sensors. With a 130-degree view, dynamic parking assistance lines shown in the infotainment screen indicate the vehicle’s trajectory according to steering input, allowing for perfect parking every time. The cruise control and speed limiter, while ultimately providing for comfort on longer journeys or around town, play a safety role as well. Easily overridden by fully-depressing the accelerator pedal, the speed limiter, which is available from speeds above 25 km/h, is especially ideal for avoiding costly speeding fines. ecoFLEX Drive Assist not only indicates optimal gear shift points for the driver, it also indicates which systems within the vehicle are using the most energy in conjunction with a fuel economy meter. Linked to an economy index – with a 50 km history graph – and the start/stop system fitted to manual models, Mokka ensures the driver is always informed as to how fuel can be saved. Available as an option on Enjoy models and as standard on Cosmo, Opel’s IntelliLink infotainment system takes pride of place in the new Mokka. Linked to a 6-speaker radio/CD/MP3/USB/aux/Bluetooth audio system, IntelliLink brings the connected world of smartphones and apps into Mokka – fully compatible with the latest Apple iOS-based and Android smartphones. Fronted by a 7-inch button-operated colour interface, phone, audio, gallery, settings and apps pages are easily accessed and navigated. Bluetooth and USB audio streaming also includes Gracenote music management and identification technology. Voice control for certain functions enhances safety as well, and the system allows for SMS display and audible read-out. IntelliLink’s power revolves around apps, which can be downloaded to the smartphone. Included as standard is Stitcher – a global podcast radio app which allows for access to over 10 000 on-demand podcasts and live radio shows from around the world. 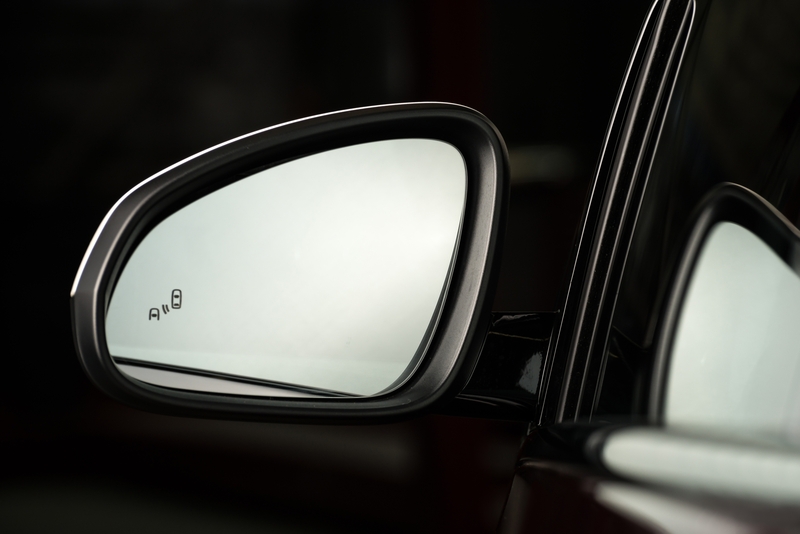 High Beam Assist (HBA) for halogen headlights provides improved forward lighting at night by automated high beam control through the use of a light detection sensor mounted on the rear view mirror. This camera detects vehicle-specific light and ambient light (oncoming and leading traffic). Depending on the light level the system switches between high- and low beam, switching to low beam until the preceding or approaching vehicle is out of view, or the ambient light level allows for high beam usage. This system makes driving safer by maximising high beam usage and allowing the driver to focus more on the primary task of driving. Forming the base of the new Mokka rage but by no means skimping on anything important, the new Opel Mokka Enjoy 1.4T manual and automatic models are not shy. Standard equipment includes start/stop technology and the ecoFLEX Drive Assist system (manual only), front and rear fog lights, the tyre pressure monitoring system, daytime running lights, cruise control with speed limiter, speed-sensitive power steering, a multi-function steering wheel, a six-speaker audio system with Bluetooth, aux and USB input, a driver’s armrest, electronic climate control, a trip computer, a solar-absorbing windscreen, colour-coded door handles, electric and heated side mirrors, power windows with one-touch up and down all-round, a folding key, 17-inch alloy wheels with a full-size steel spare and LINE DRIVE black cloth upholstery. IntelliLink is the only available option. In the new Mokka Cosmo 1.4T manual and automatic derivatives, superb equipment levels ensure delivery of a premium-class experience. Raising the bar over the Enjoy, the Cosmo model brings with it rain-sensing wipers, an auto-dimming rear-view mirror, automatic headlights with Active High Beam Assist, front and rear parking sensors, electric folding mirrors, a sunglasses holder, IntelliLink, the reversing camera, heated front seats, interior ambient lighting, rear privacy glass, 18-inch alloys, JASMIN leather upholstery, a heated, leather-bound steering wheel, specialised ergonomic front seats, a rear arm rest and a 230V power socket (ideal for charging phones or laptops) – all as standard. All four models are available in a choice of ten colours, the likes of which include visually-dynamic Blaze Red, Orange Rock, Boracay Blue and Deep Espresso Brown. All new Opel Mokka derivatives are backed by Opel’s comprehensive 5-year/ 120 000 km warranty and come with a 5-year/ 90 000 km service plan linked to service intervals of 15 000 km.